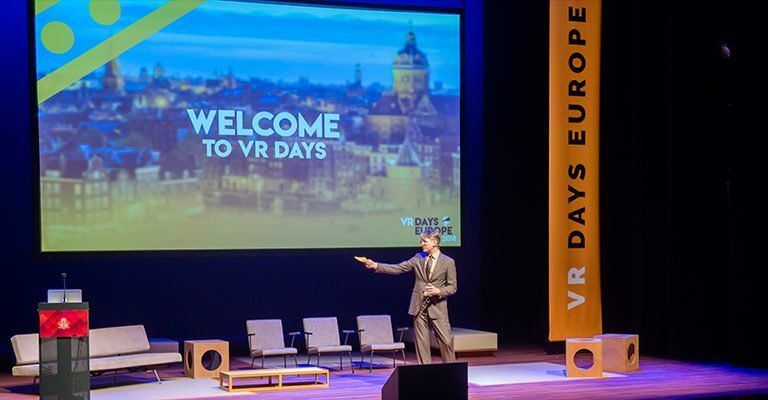 VR Days Europe 2018, which ran from 24 to 26 October in Amsterdam, is the continent’s leading conference and exhibition celebrating virtual, augmented and mixed reality (XR) business innovation and creativity. 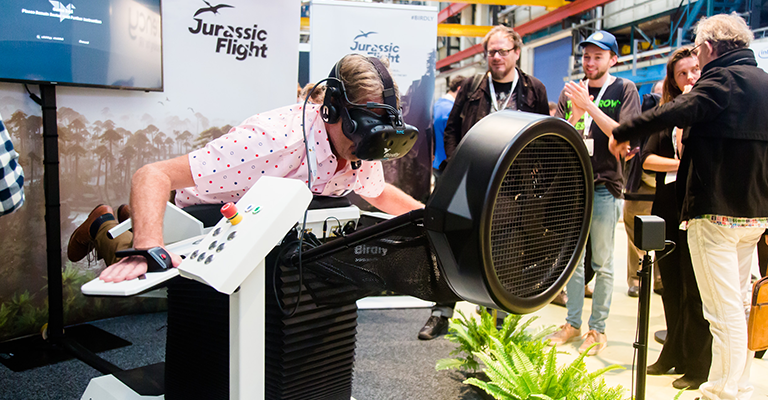 We went there to have a look at future products and projects and met old fellows like the Birdly. 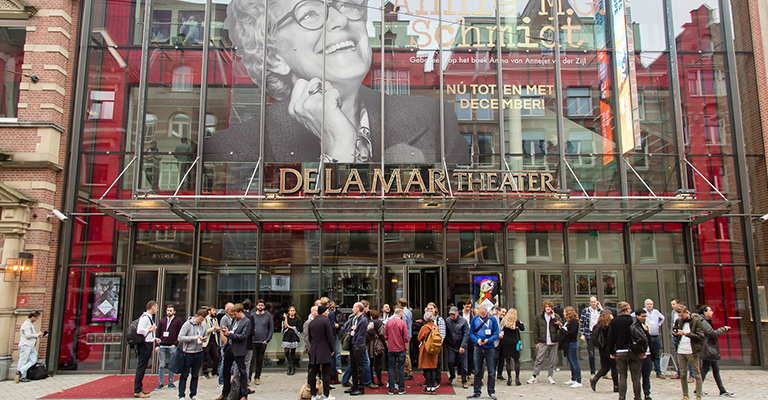 More than 550 delegates filled the auditorium at the DeLaMar Theatre for the Vision & Impact Conference in Amsterdam. More than 20 speakers from the arts, the corporate world, healthcare, storytelling and other disciplines discussed the role of XR technologies in our lives – both today and how they should develop in the future. Mel Slater, Co-Director of the Event Lab, University of Barcelona, talked about how VR can be used to experience life in a different body. Miriam Reiner, head of the VR and neurocognition lab at Technion, Israel Institute of Technology, related how VR and AR can be used to boost mental performance. Marie Jourdren, Chief Creative Officer of DVGroup, described the nascent immersive entertainment industry, which blends VR and theatre with techniques from film and games. 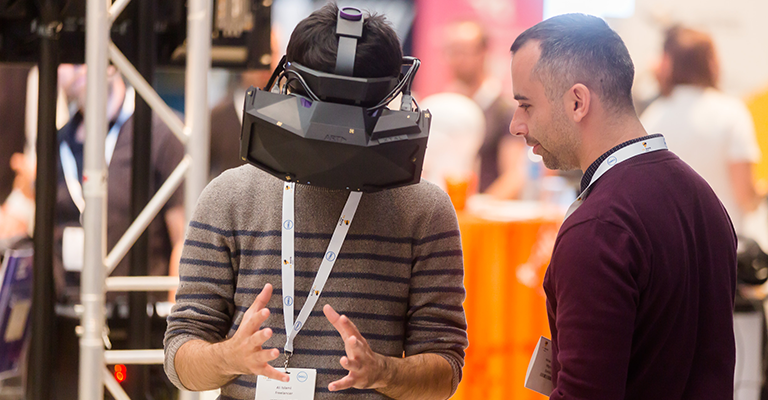 Attendees also enjoyed a large and varied exhibition area featuring 60 companies, and some amazing VR experiences. 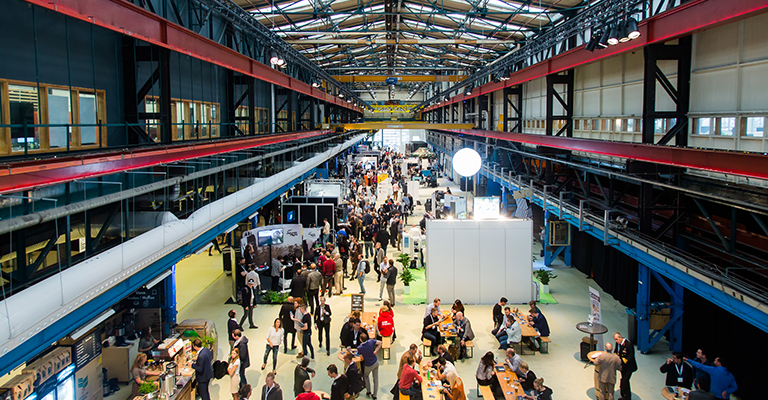 The Church of VR showcased a fascinating selection of 40 VR works from around the world – some of which received their European or world premiere. Collectively, these works showed how VR can be used to tell many different kinds of story: dramatic, playful, personal, reflective, inspiring – and always immersive.